The Cancer Subtype Ontology resource includes 840 different cancer subtypes, many of which are novel. On multivariate analyses, high baseline levels of IL-6 and CRP, but not IL-8, were associated with shorter OS in patients with breast cancer receiving atezolizumab. Results from this study showed that a close spatial distribution between CD3-positive T cells and cancer cells was a biomarker for response to pembrolizumab. 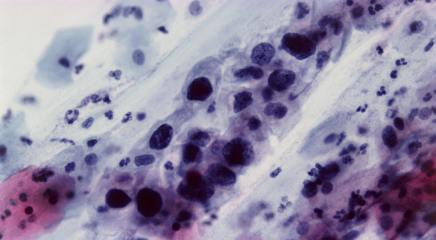 Coadministration of the HPV16-specific vaccine, ISA101, with chemotherapy was found to be associated with stronger tumor immunity. In this study, no patients receiving sequential administration of an immune checkpoint inhibitor followed by erlotinib developed a severe immune-related AE. A preclinical study highlights the potential role the Fc receptor may play in mediating hyperprogressive disease, but further study is needed. This fact sheet provides an overview of immunotherapy treatment, including risks, benefits, and safety considerations.